I have been super obsessed lately with facial masks. It's all started back from my trip in Bangkok where I bought several recommended facial masks by my Thai friends. The hype went on and on until today. 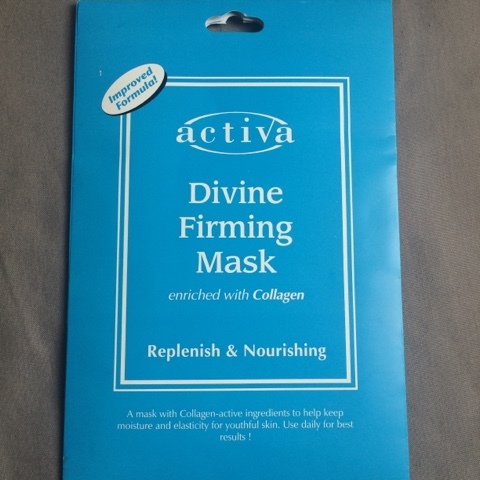 While shopping at one of the nearest Guardian Shops, the shop attendance promoted the Activa Devine Firming Mask. 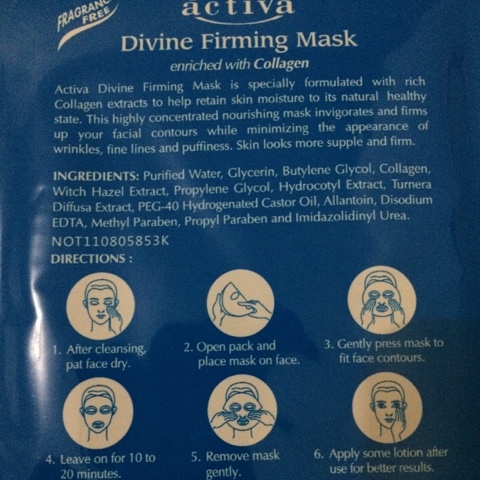 The packaging itself is not too attractive, but I give it a try since the shop attendance promise that this is the most recommended masks available (...so I got sold away...). The price of this mask is IDR.35.000. Each package only have one sheet of mask that for sure can only be used once! Although it is still affordable, the price of this mask is still above the average price of retailed masks. Looking at the ingredients of this mask, is is filled with good things inside it. What I love about this mask is the fact that it is "fragrance free". Thus, I am more confident that this mask does not add unnecessary ingredients to my face. Unlike many other "nourishing masks" that are usually slimy and oily, this masks is actually more like a water base masks that is cooling without the grease. It is like putting on a toner throughout my entire face. Since it is like a water base, this mask actually dries up quite fast. I usually put on facial masks during night time before bed. After the mask paper dries up, I took it of and does not rinse my face after. This is because I felt that it will be able to make my face absorbs more of the good things inside the product to my face. In the next morning after rinsing my face, I felt that my face is soft and supple. However, I did not directly feel the "nourishing effect" that is usually shown by a glowing skin. I did not also feel a significant difference that this product directly delivers. But I think it is more because of its least chemical ingredients so that it will gradually delivers effects instead of delivering direct effects. 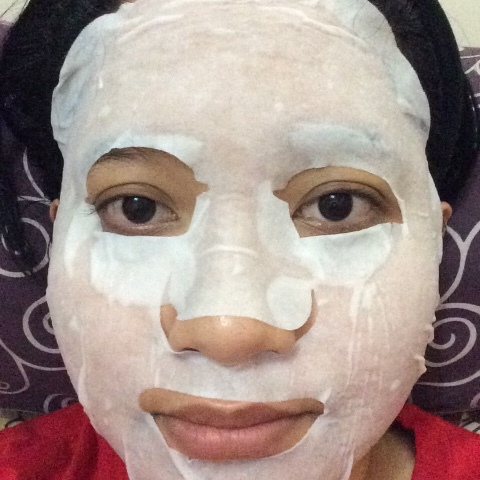 Masks can really pamper your skin! So give your skin a gift by nourishing it with Facial Masks.